Herringbone. Inspired by nature, there's a simple elegance to the design. Whether a brick walkway, winter wool suit or gold necklace: herringbone fits. Nordic skiers even use the herringbone method to climb hills, leaving that familiar angled pattern in the snow. 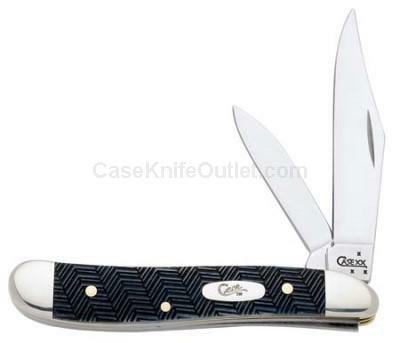 Case brings that same sense of style to pocket knives with the new Herringbone line. Genuine Navy bone handles take on a rich look and texture with this new jigging. Made in the USA.